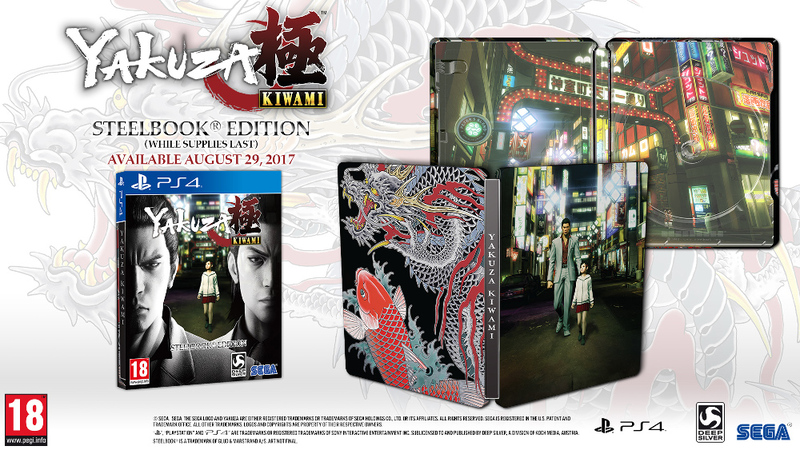 Home » PS4 » ps4reviews » Yakuza Kiwami » Yakuza Kiwami Review - A Beast of a Game or Just Another Brawler? Yakuza Kiwami Review - A Beast of a Game or Just Another Brawler? Have you ever wondered what it would be like to step into the shoes of a well respected member of the Yakuza? 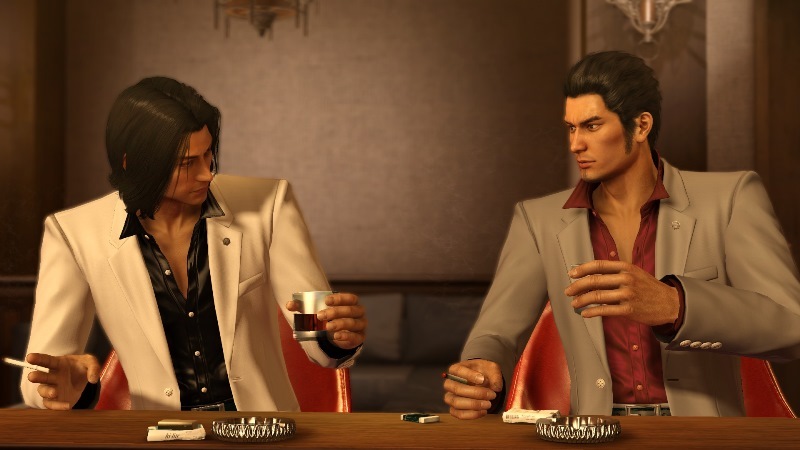 Yakuza Kiwami offers exactly that and as a remake of the highly praised original, Sega have promised cutting edge visuals and fresh new content with the release of Kiwami. Does Sega deliver on that promise or is Yakuza Kiwami just another game destined for the bargain bin? Yakuza has been around for a while now. It first released in the west as an exclusive for the Playstation 2 back in September 2006, later appearing on both the PS3 and Wii U. We've had sequels, prequels, spin-off's and now a remake to sink our teeth into and yet, Yakuza Kiwami is the first Yakuza title I've ever had the chance to play. I've always wanted to dive into the series, but with so many other great games on offer, it was never a priority for me. Eleven years after its initial release however, I finally got that chance when our good friends at Koch Media provided us with a copy of Yakuza Kiwami's Steelbook Edition and as a full-on remake of the very original title, I couldn't have jumped in at a better time. You play Kazuma Kiryu - A serious, straight talking Yakuza who's feared and respected by many. The more time you spend with him, the more you realise he's actually a pretty good guy. He has his own code of honour, holds a great deal of respect for his friends and always acts in the best interest of those in need. Yakuza Kiwami's story is one of power, betrayal and loss. As you begin the game, Sohei Dojima (the head of your clan) has been killed. Upon discovering the culprit, you end up taking the blame in order to protect them, knowing full well that any respect others had for you would be lost. As such, you, the Dragon of Dojima, have been branded a murderer and spend the next ten years locked up, with your name now at the very top of the Yakuza hit list. Upon your release, one of the first people to find you is a rival Yakuza by the name of Goro Majima. Though crazy and unpredictable, he always respected Kiryu and has taken it upon himself to force you into becoming the power house you once were - The Dragon of Dojima. This marks the start of many fights to come, as you're forced to go toe to toe with this madman who craves nothing more than to fight you at the top of your game and is determined to do everything he can to get you there. You'll be fighting him for the entirety of the game as he pops up in some of the most unexpected places imaginable. It's both a blessing and a curse, but a great way to level up your abilities early on. The experience granted for successfully beating him down each time is generous. By default, Yakuza Kiwami's dialogue is native Japanese with English subtitles. As this is my preferred way to play most Japanese styled games, I didn't check to see if there was an option for English dialogue, but the text remains on screen long enough for this to pose no issue. In combat, there are four unique fighting styles in Yakuza Kiwami - Rush, Brawler, Beast and Dragon, which you can read more about below. Rush - Rush, as you might have guessed, is the fastest fighting style in the game. It relies on quick hits and an almost superhuman ability to dodge, duck and weave your way past any and all incoming attacks. It takes skill to use as you need to be aware of your positioning, but once you nail it, it's one of the most fun fighting styles in the game and you'll be dodging bullets in no time. Later on, you'll also gain the ability to use your "Heat" to simultaneously double your movement and attack speed for a limited time. Brawler - This style is a good all-rounder. It offers a balanced mix of speed and power and enables you to pick up objects to fight with, perform grabs and throw your enemies to the ground. This is something Rush doesn't have, but you'll likely find yourself using this as your default attack style. It's a relatively fast style and and the standard square, square, square, triangle combo is both satisfying to watch and an effective way to deal with multiple opponents. Beast - Where Rush is all about fast, light hits and being quick on your feet, the Beast style is the exact opposite. Though very slow on your feet, the damage you receive in Beast mode is considerably lessened, allowing for you to simply wade into a group of enemies as you begin laying them out, one devastating punch after another. Where Brawler allowed you to grapple and trip your opponents, Beast sees you throwing them at one another and offers the strongest guard ability in the game. You can also lift up much heavier objects than that of the Brawler style. This ability is built into the fighting style in such a way that you don't even need to press circle to pick up surrounding objects. You'll simply pick up whatever's closest to you in the middle of a punch up as you seamlessly blend your fists and surrounding objects into one incredibly powerful fighting style. Smashing a Motorbike over someones head has never been so satisfying. Dragon - This is Kiryu's signature fighting style and the hardest set of moves to advance. To start, it's a pretty useless fighting style. It's slow and lacks power, but fully maxed out, it becomes one of the greatest fighting styles in the game. It's not as fast as Rush or Brawler and leans more towards the power of Beast than anything else, but successfully mixes things up in that it focuses largely on kicks, weapons and boasts the best "Heat" actions within the game. The requirements needed to unlock its full potential will force you to complete a number of side quests within the fictional Japanese streets of Kamurocho (a realistic recreation of Tokyo's Kabukicho district within Shinjuku), but once you've accomplished this, nothing will be able to stand in your way. Kiryu dishing out the damage. Upon starting the game, I found myself primarily using the Rush style, later switching to Brawler as I found that to be the most useful combat option for the majority of the game. I spent a great deal of time with each style and fully upgraded my abilities before the final chapter and by that point, fights get a lot more intense, so I'm glad I did. Interestingly, you can switch between styles on the fly, so if one style isn't working for you in any given fight, you have three more to choose between. It's a great feature and something that'll help you later on. For me, when Brawler no longer cut it, I switched to Rush which allowed me to rapidly build up my "Heat", before switching over to Dragon for my "Heat" finishers. Your "Heat" moves in Dragon style have good range and will always interrupt your opponents moves as you slam them to the ground in an adequately brutal, cinematic takedown. You can also block and counter by pressing and holding L1, with thanks to the user-friendly controls in place. While I'm on the subject, it's about time I explained what I mean by "Heat". Heat is something that builds up the more you fight. Every time you land a hit, the Heat gauge increases. Every time you take a hit, it decreases. Some of your abilities are dependent on having no heat at all, while others rely entirely on a full gauge. There are three levels of Heat. The first is simply no Heat, which ranges from anything between an empty to partially filled bar. The second is standard Heat mode, which activates when your bar reaches a certain point and is displayed in the form of a small colour-coded flame that surrounds your character (the colour represents the fighting style you're currently using). The third and final level of Heat is called Climax Heat Mode. This allows for you to pull off some pretty powerful moves and is visible in the form of a highly noticeable, large colour-coded flame that engulfs Kiryu's body. All Heat actions are activated by pressing triangle under the right circumstances. Each style has its own set of Heat moves and counters to play around with, but some will be more useful to you than others. Dragon and Brawler proved to be the best here, but then again, it felt immensely satisfying catching an enemy attack in Rush mode with a crushing, cinematic elbow bash, breaking their hand instantly on impact. Adding to the fun, you can perform Heat attacks with any weapon available. Bicycles become more broken with each consecutive hit and your Heat actions change depending on how damaged the item you're using is. In one instant you can slam the whole bike on top of your enemy, then if you only have a wheel left, using that wheel will also have its own cinematic action. These moves can also change depending on the fighting style you're currently using, so there's a lot of diversity here and it certainly helps to keep things fresh. Goro Majima, the hide and seek champ. Outside of combat, there are a huge amount of activities and side-quests to sink your teeth into and they're not tacked on for the sake of it, either. 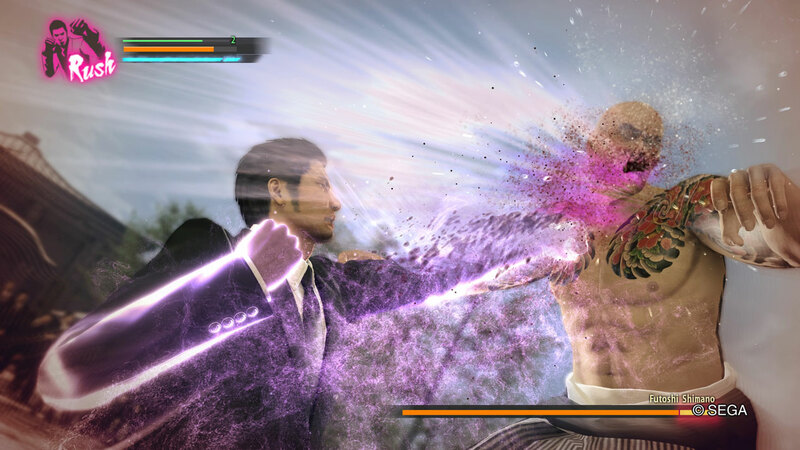 On the activity front, Yakuza does a good job in showing you what it's like to live in Japan. There are Host and Hostess Clubs to visit (only the Hostess Clubs are actually usable), allowing you to form relations with the girl you're visiting by taking her out on dates and being given a rather steamy video for maxing out her relationship level with you. This can lead to side-quests and also other activities around the map. Of which, there are plenty. Billiards, Shogi, Mah-Jong, Blackjack, Roulette, Darts, Bowling, an indoor Batting Centre, Karaoke and even an RC typed car racing game named Pocket Racers. In addition to all of this, you can also use Crane Machines to win yourself some virtual plush toys and throw yourself into a fairly amusing card game called Mesuking. Mesuking reminded me a lot of Dead or Alive: Extreme Beach Volleyball. It's a virtual TCG (Trading Card Game) that has you selecting scantily clad women to battle with in a variant of the standard Rock, Paper, Scissors game. Each girl has a costume relating to a specific bug and with varying stats (higher health, higher attack etc), some will be better against their opponent than others. Your skill cards work in the same way, in that they won't synergise well with every character card, so you'll need to choose which ones work best for you. It isn't as deep as it sounds, but it's still fun to play. You can obtain new cards by finding them around the map or winning against Mesuking opponents. Amusingly enough, each opponent you face is a child and Kiryu is by this point, a 37 year old man. There are even quests to become the King of Mesuking. This is part of the reason why Yakuza Kiwami is so fun. The story is dark in tone and overly serious and yet, in contrast to that, the side-quests really don't take themselves seriously at all. 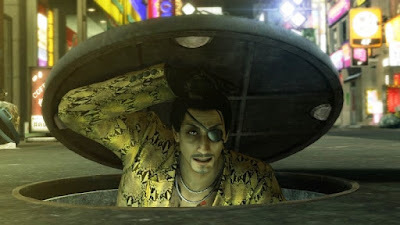 With Drag Queens, Zombies and a side-quest titled "Crisis on the Crapper", you can easily find yourself getting distracted from the main plot, but with so much fun to be had, if you choose to ignore all of this, you'd be missing out on what makes Yakuza Kiwami so great! 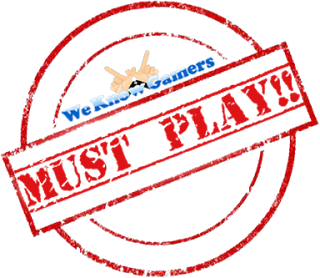 Pocket Racers has you customising RC cars and building your own custom race tracks, the Batting Centre tests your timing and reflexes and that's not even mentioning the underground cage fighting. There's a lot on offer here, which is something you very rarely see in modern games. It's impressive, to say the least. Though little has changed in terms of visual direction from the original, Kiwami does an incredible job at breathing new life into a relatively old game, because everything has been updated since 2006's initial release. We have fresh new models, textures, visual effects and cutscenes. Though the story remains to be the same, everything else has been updated to deliver one visually stunning game. Overall, with titles such as Sonic Adventure 1 and 2, Crazy Taxi and The House of the Dead, Sega have always had a knack for creating fun, addictive and exciting titles. Yakuza Kiwami is no different and with such a satisfying combat system, memorable characters and so many other features in place, it's easy to lose hours of your life as you run through the vibrant streets of Kamurocho. If you prefer simulations to arcade styled gameplay, this may not be for you, but if you want a game with hours of fun and find yourself fascinated by the Yakuza lifestyle, I'd highly recommend Yakuza Kiwami. I had a lot of fun with this and look forward to the release of Yakuza Kiwami 2, just recently announced at this years Tokyo Game Show. If you liked this article, be sure to follow us as we continue to deliver the greatest and latest news the industry has to offer and as always, if you have something to say, let us know in the comments below or hit me up on twitter @CaptainCortez.